If there are audio files attached to your songs, you can listen to them& even loop a specific section. 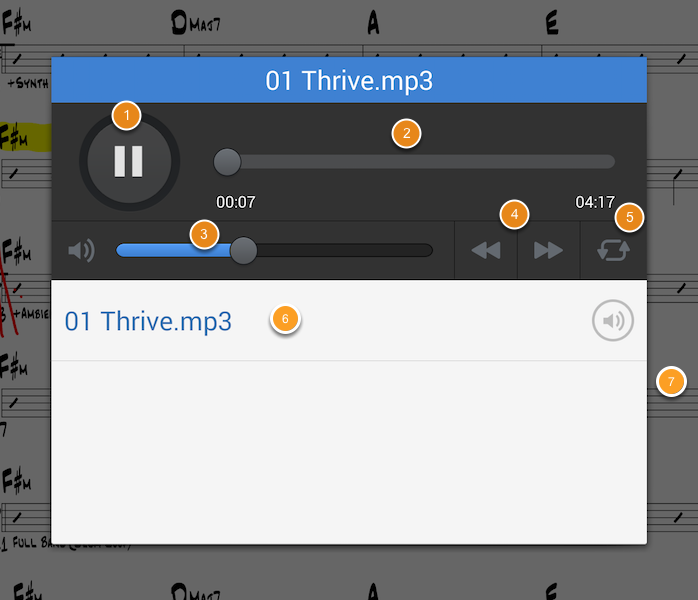 Tap the the screen to show the toolbar, then tap the audio icon to open the audio player. 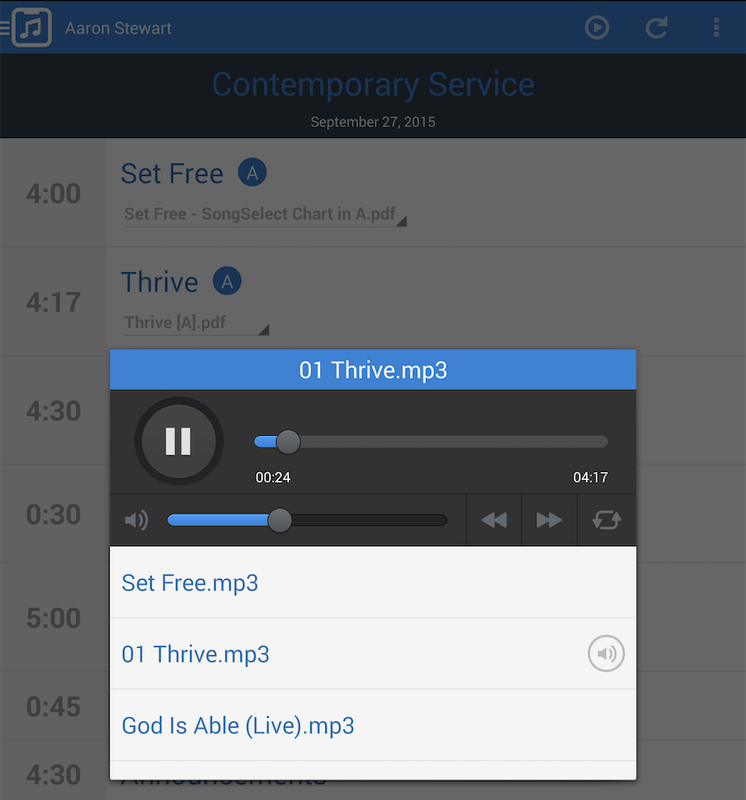 Any compatible audio files attached to the current song will load in the playlist. Tap one to start it. Once you start playing a song, it will continue until you stop it, or it is done, even if you dismiss the audio player, scroll to a new song or exit the app. Forward/Backward -Skip forward or backwards a little in the current audio file. Playlist -A list of audio files attached to this song. If you started playing audio while viewing one song, and advanced to a new song, the original audio will still play, but the Playlist will contain the audio for the new song. If you tap the audio icon from the top of the Order of Service, it will load audio from all songs in your plan. Tap the looping icon to enable looping. Loop handles will appear at the beginning and end of your song. Drag the loop handles to set the in and out points of your loop.